Pierre Karl Péladeau, colloquially known as “PKP” in Quebec, is the Chairman of the Board of la Fondation de l’entrepreuneurship and Chairman of the Board of Hydro-Québec. Mr. Péladeau is best known for his influential contribution to Québécor as CEO. Since stepping down as CEO this pass spring, he is has been focusing on promoting the entrepreuneurial spirit in Quebec. Pierre Karl Péladeau was the President and CEO of Quebecor Inc., Quebecor Media Inc. and Sun Media Corporation. He was educated in Montréal and Paris. He holds a degree in philosophy from Université du Québec à Montréal and a law degree from Université de Montréal. 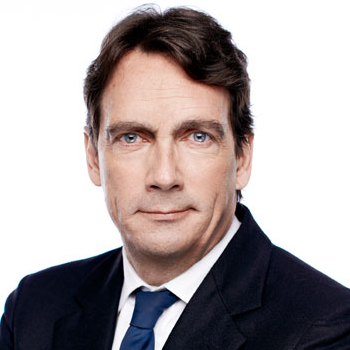 Mr. Péladeau is the son of Quebecor founder Pierre Péladeau and joined Quebecor’s management team as early as 1985. He was notably involved in the development of Quebecor Printing. He also played a pivotal role in the acquisition of Donohue Inc, one of North America’s most efficient pulp and paper companies during its years as a Quebecor subsidiary, from 1987 to 2000. Mr. Péladeau was appointed President of Quebecor Group Inc. in 1991. This division included the Company’s main publishing assets and some distribution and retail operations. In 1994, Mr. Péladeau relocated to Paris to help the Company further its growth. In 1998, Mr. Péladeau returned to Canada after his father’s death. He then spearheaded the acquisition of Sun Media Corporation, making Quebecor the second largest newspaper chain in Canada. In 1999, the Board of Directors of Quebecor Inc. named him President and Chief Executive Officer of the Company. In 2000, he was responsible for the acquisition of Groupe Vidéotron, the largest cable TV operator in Quebec and the third largest in Canada (Videotron) and the largest French-language broadcaster in the country (TVA). The takeover led to the creation of Quebecor Media, which brought all of the Company’s telecommunications and entertainment properties under one roof. In 2007, he launched the acquisition of Osprey Media, one of Canada’s leading newspaper publishers, thus making Quebecor the largest newspaper publisher in the country. On May 8th 2013, Mr. Péladeau stepped down as CEO of Quebecor inc. Pierre Karl Péladeau sits on the Boards of several Quebecor companies and is active in many charitable and cultural organizations. Mr. Péladeau enjoys outdoor sports including water skiing, downhill and cross-country skiing, cycling and hiking. He is the father of three children, Marie, Thomas and Romy. Vice Chairman of the Board, Quebecor Inc.
Chairman of the Board, Quebecor Media Inc. and TVA Group Inc.